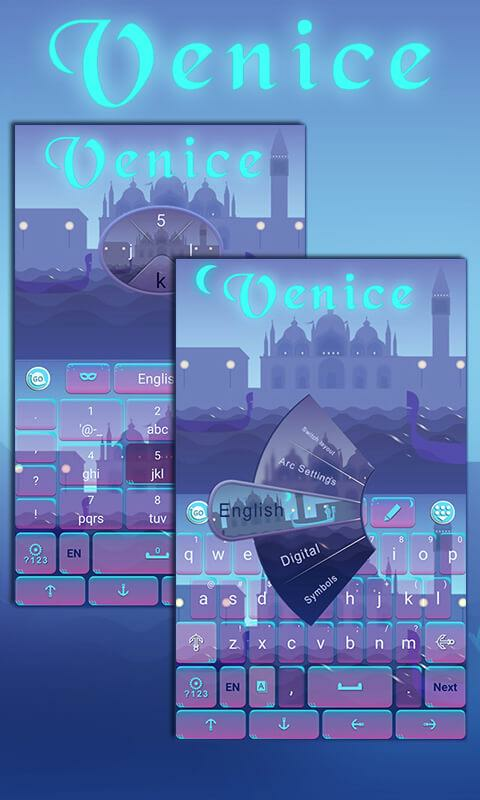 Venice theme is an elaborate theme made by designers. Wish you likeit!An awesome way to turn a plain keyboard to a beautiful andunique one. 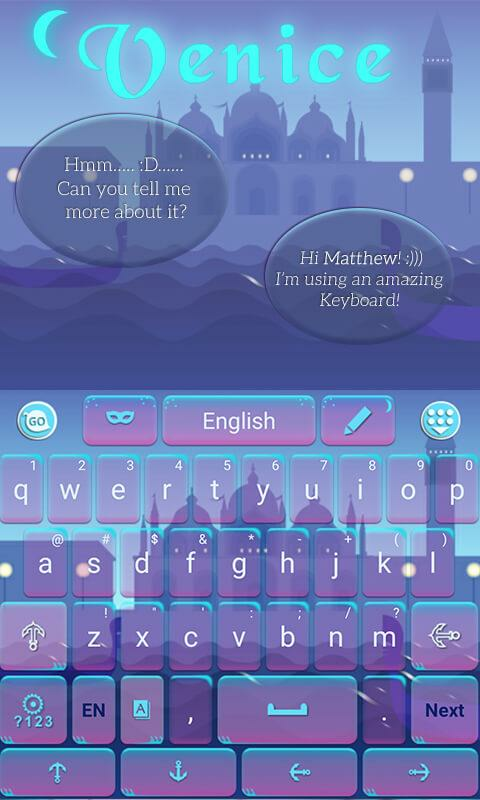 Get this COOL theme to make your KEYBOARD more lovelyand colorful.★You may get this paid theme via two ways：a. Pay $with Google in-app billing (IAP)b. Get it FREE with Getjar Gold(may need install few sponsored free apps)Thank you so much foryour support!★Notice:- This theme uses GO Keyboard(with 10000+colorful themes and 800+ emoji, emoticons and smiley faces). Pleaseclick the link to have it installed. 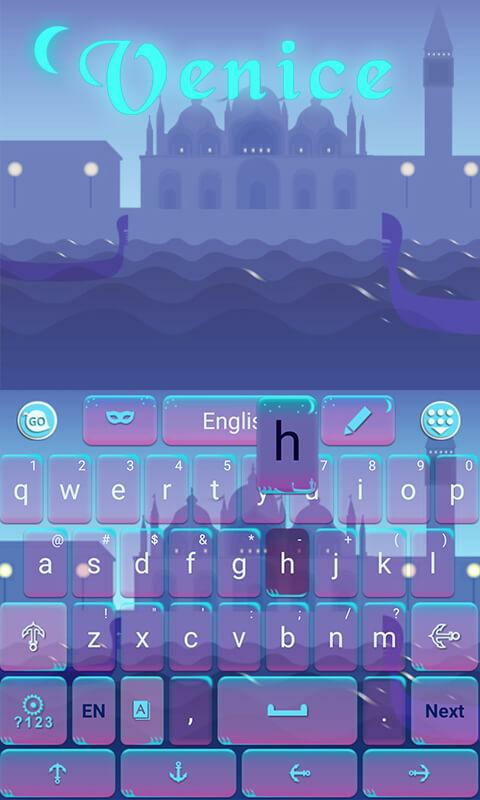 With the theme, you are alsoable to set the keyboard background wallpaper.★How to Apply theTheme:Step 1: Download this theme and GO Keyboard.Step 2: Clickinto GO Keyboard Setting Page-> Theme -> Local ->ApplyMore themes and more fun, click to FOLLOW US ON FACEBOOK:https://www.facebook.com/gokeyboard For questions or suggestion,please FOLLOW US on Facebook or send us anemail:[email protected]! Chrooma Keyboard is a lightweight, fast keyboard that adapts itscolor theme to the app you are using. 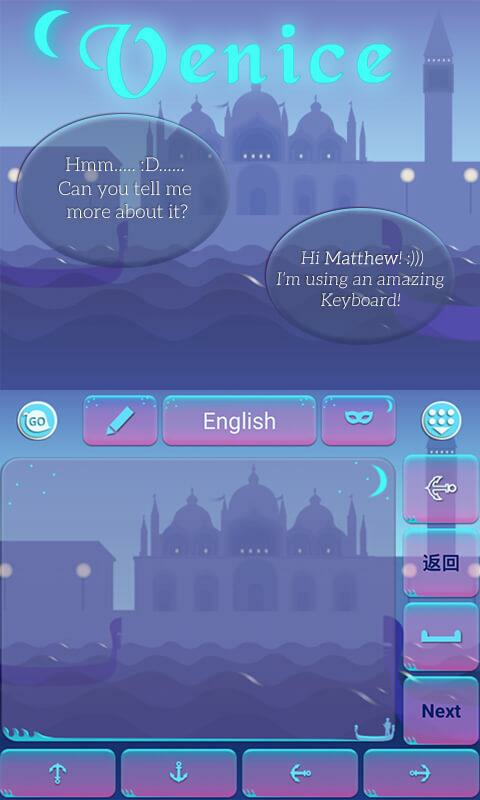 According toAndroidAuthority.com Chrooma Keyboard is "the best Android appreleased in all of 2016" Chrooma Keyboard is powered by a smartartificial intelligence that provides you a better contextualprediction. Chrooma has a new exclusive neural action row thathelps you with emojis , numbers and punctuations suggestions ! Andif emojis are not enough for you, with Chrooma Keyboard you cansearch and send all the GIF you want! Chrooma Keyboard always fityour style thanks to its high level of personalization (themes,font styles, emoji styles, keyboard size ...) Adaptive ThemeChrooma Keyboard features numerous adaptive and colourful keyboardthemes. All the themes are elegant and will fit your phone style.But Chrooma Keyboard is not just a beautiful keyboard it's also asmart productivity tool. These are just some of the most coolfeatures you will find in Chrooma Keyboard : GIF search WithChrooma Keyboard you have a dedicate GIF tab to search and send allthe GIFs you want! Chrooma's GIF are supported by almost every app.Emojis Support Our keyboard supports automatic emojis suggestionand helps you by providing you your most used emojis . Chrooma isalways updated to support the latest emojis available. ColoredNavbar Chrooma Keyboard automatically changes the color of yournavbar according to the app you are using Gestures Integrated A lotof gesture, to fast delete, delete all, move cursor, fastselection! Multilanguage typing With Chrooma Keyboard you can writein multiple languages simultaneously without having to switch thekeyboard every time. One Hand Mode and Split Layout Activate theone hand mode to type faster with just one thumb! Do you have alarge screen? The split layout will help you typing faster !Gesture typing Tired of tapping ? You can write everything just byswiping your thumb over the keyboard. 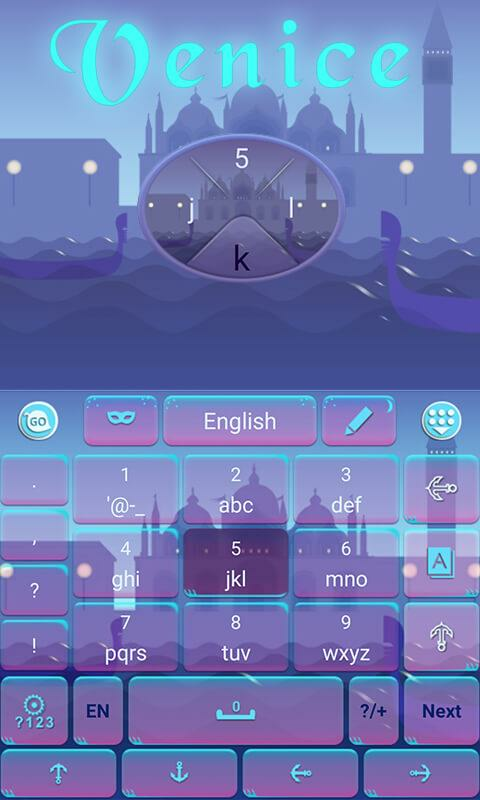 Night Mode Chrooma Keyboardcan change automatically the color tone when low light is detected.You can also set a timer and program the night mode. ...and muchmore ! For more infos, search Chrooma Keyboard on Google and GooglePlus. 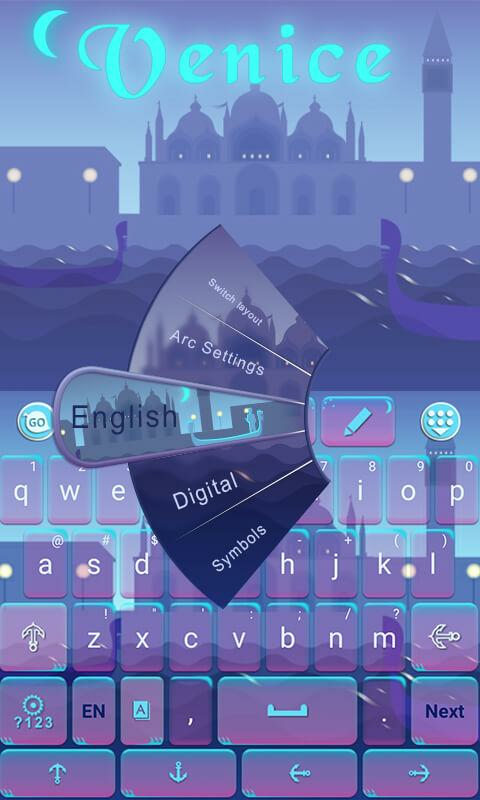 The keyboard is using the code from Indic Keyboard(https://indic.app), Copyright © 2013-2018 Jishnu Mohan,Swathanthra Malayalam Computing (SMC) SOFTWARE LICENSE: ApacheLicense, Version 2.0 ; you may not use this file except incompliance with the License. You may obtain a copy athttp://bit.ly/UWsjkb Unless required by applicable law or agreed toin writing, software distributed under the Apache 2.0 isdistributed on an "AS IS" BASIS, WITHOUT WARRANTIES OR CONDITIONSOF ANY KIND, either express or implied. Check animation by SantiagoSoria https://www.lottiefiles.com/mundokartoon No connectionanimation by Kaley Ide https://www.lottiefiles.com/u/680 Whaleanimation by https://www.dribbble.com/openallen Android is atrademark of Google LLC.